I went from "toes in the sand" to "ice in the guides" in the blink of an eye. Now that the dust has settled and I've recovered from another 15-hour travel day, it's time to do a brief recap on the visit to Mexico. 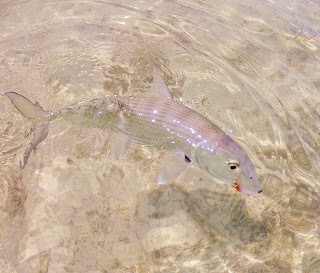 Fishing - Yucatan bonefish are, on average, noticeably smaller than their eastern caribbean cousins - but they are abundant. 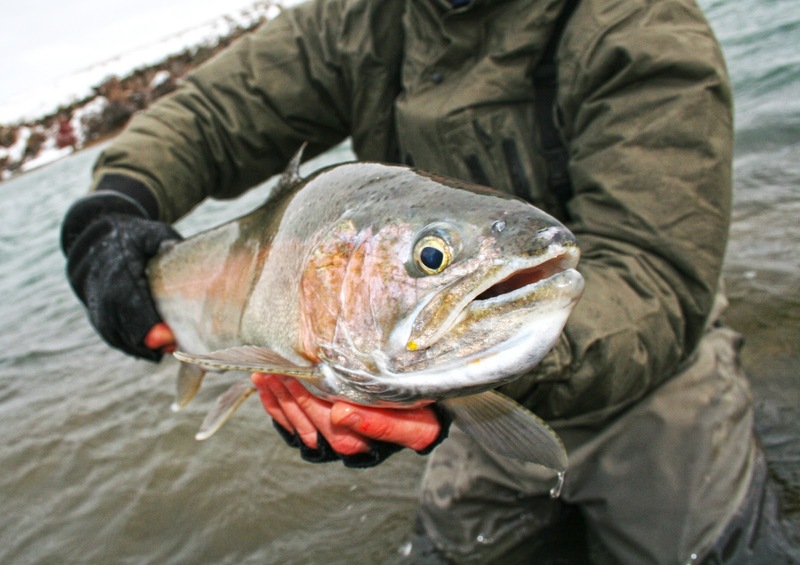 I think of the area as a well-rounded flats and inshore species destination. Locals say the tarpon are significantly more plentiful from May through November and the permit make their way onto the flats in greater numbers in May and June. I am already jonesing to get back (thinking Holbox and Xcalak) and will plan accordingly. Crime - Everyone has heard about the drug-related crime in Mexico and it has taken a serious toll on tourism - but dismissing the Yucatan due to crime in the border towns is like canceling a fishing trip in Montana to avoid crime in Detroit. Mexico is a big country and the vast bulk of the drug crime occurs in other regions. We feel safer in the Yucatan than we do in Miami. The Mexican people in the region are, without a doubt, the nicest, most hospitable people I've ever met. If you make even a feeble attempt to speak their language, they will love you for it. We can learn a lot from folks who get by on a little less. Eats - If you like Cuban food and find yourself in Playa del Carmen, a stop at La Bodeguita del Medio is mandatory. That's right, Havana's finest Cuban restaurant has multiple locations in Mexico. Their food is incredible and the mojitos live up to all the hype. Lodging - Options in the Yucatan run the gamut from 'all inclusives' to beach cabanas to camping. Once you get south of Tulum, things get more rustic and secluded. If you're like me and want to avoid the crowds, check out the low-key beach cabanas north of Punta Allen at Xamach Dos. It's right near the flats and there are some hidden Mayan ruins nearby. Back in the states. Back to reality. After settling in here in Idaho Falls, I made it out to the river to check on some friends. 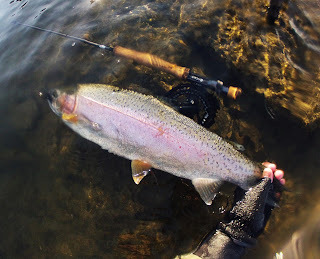 East Idaho is really beginning to feel like home and the quick jaunt to the tropics lifted me over the mid-winter hump. I saw a lone robin on the river bank yesterday - a sure sign spring is approaching. I arrived at the lodge after driving two hours south along a notoriously rough dirt road. The lodge manager set me up with a wonderful Mexican omelet and introduced me to my guide, Manuel Esquivel. Manuel, a local Mayan and one of the most experienced guides in the region, evaluated my box of flies. "Is going to be very hard today, my friend," he said. "The lagoon is like chocolate milk." Manuel's statement came as no surprise. The horizontal palm fronds, intense surf and inshore whitecaps I'd observed on the drive south from Puerto Aventuras painted a bleak picture. Booking a guided trip in February in the Yucatan - or almost anywhere in the tropics - is a roll of the dice. I was hoping to catch some snook and baby tarpon. "I will try my friend. 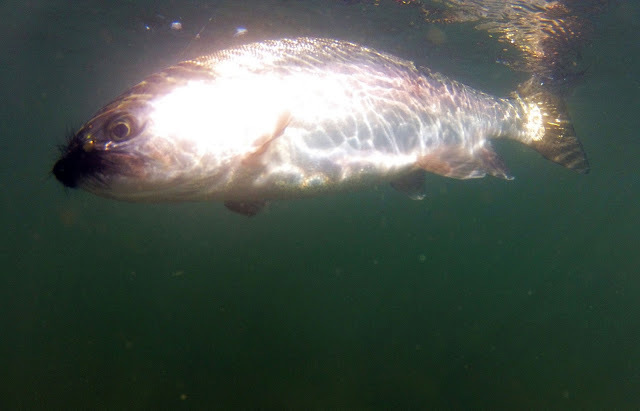 The tarpon, I think they will be gone. The snook, perhaps, but is cold today. Maybe too cold. I am sorry for the conditions." We loaded up the panga and headed out into the lagoon. The wind was intense, but Manuel set us up at the north end of a mangrove stand so we could drift south along the beach. The tide was out, the mangrove roots were almost dry and the few snook we found were holding in a few inches of water along the sandbars. I threw cockroaches and deceivers. We got a few follows, but I wasn't able to connect. It became clear right away Manuel was an excellent guide. Despite the less than ideal conditions, he worked his tail off to put me on fish. He poled that panga all over the bay and lagoon in search of baby tarpon in wind-sheltered coves. Hours went by. No tarpon in sight. The snook still had lockjaw. 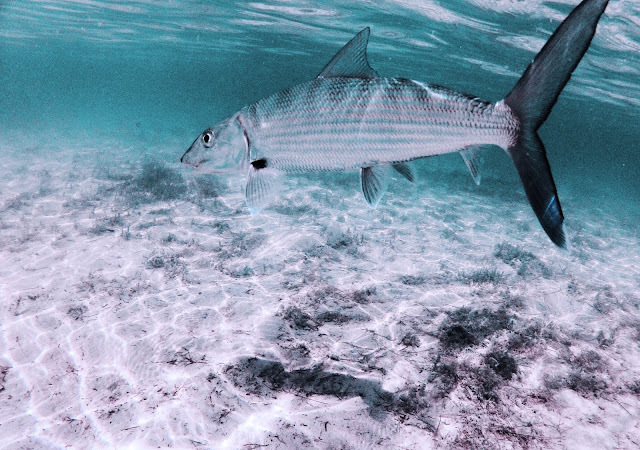 We decided to switch gears altogether and try the bay, parking the boat on a small secluded creek outlet between two bonefish flats. The tide was rolling in and the sun began to warm things up. Manuel pointed toward the creek outlet. Finally, some fish on the feed. 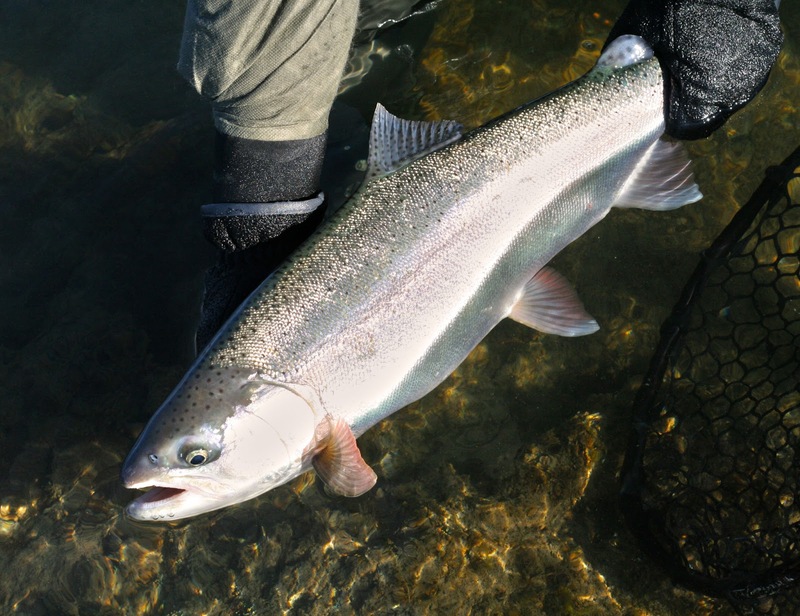 We were able to salvage the afternoon and landed about a dozen fish. I spent hours searching for baby tarpon with one of the most experienced guides in the region and came up blank, so I packed up my fishing gear and headed north with my wife and son to an all-inclusive "eco-resort" near Playa del Carmen. Our hotel is located between a cenote (natural spring) and the beach. Although the cenote is part of a nature preserve, I couldn't help but scope it out while crossing the foot bridge to our room. It is chock full of baby tarpon...and there isn't a thing I can do about it. "They call this place 'permit alley,'" John said as we exited the dense Mexican jungle and made our way onto the flat. Upon scanning the horizon line, it became apparent why. 100 yards to our south was a large black sickle, waving back and forth as if to say, "Hey gringos! Over here." "Damn," I thought, "I haven't even warmed up with a single cast yet and I have to give the performance of a lifetime." I must admit, watching a permit feeding and waving its happy black tail is about as cool as it gets. I could sit there and watch it for hours. But I was here to fish, not watch. My heart was pumping like a plunger and my mouth went dry. 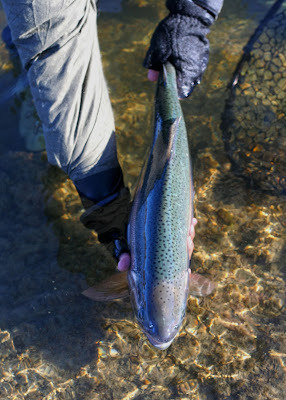 We waded within casting range and it was apparent the fish had no idea we were there. I let her rip. The merkin landed about three feet to the right of the permit. The fish flipped me the bird, then flushed like a toilet. That's okay, I never expected it to eat anyway. That would be foolish, right? My compadre tapped me on the shoulder and handed me my 7-weight. "Let's go have some fun with bonefish," he said. 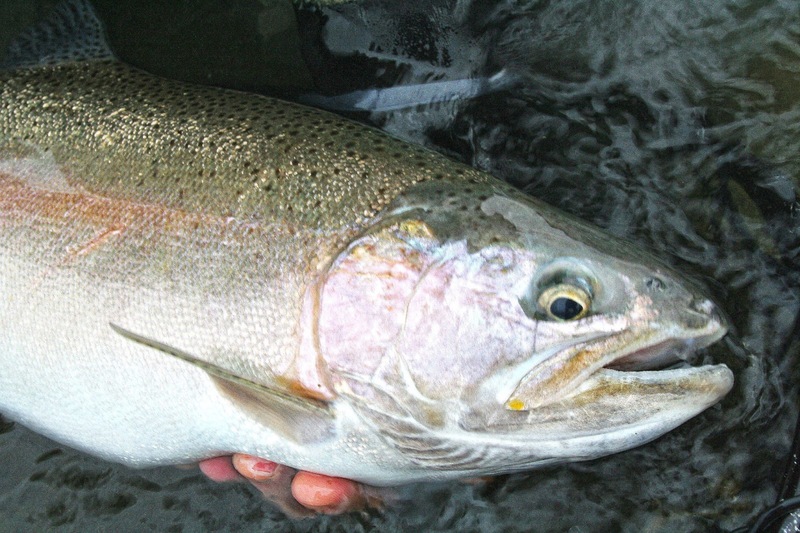 I nodded my head and tied on a pink #6 gotcha. We got into a school on the same flat. Game on. Watching a school of bones compete for the right to eat your fly is a nice prescription for anyone suffering from dolor de palometa. My partner in crime for the day, John Earls, is a former trout and steelhead guide from Oregon who now lives in Tulum. He offers assisted walk and wade trips in the southern Yucatan via Tulum Fly Fishing. Although I'd previously fished these flats on my own, I wanted to get some additional local insights this time around to help ensure success. John's knowledge of the area and local fish proved invaluable. For a very modest fee, he will spend the day with you - wading the flats, scouting fish and imparting knowledge. I highly recommend fishing with him when in the area. He knew exactly where to find fish. 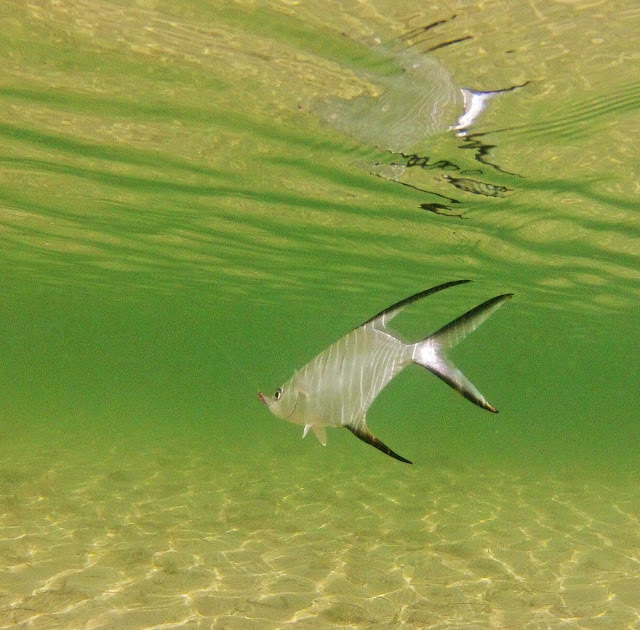 After landing a few bones, we spotted a pair of cruising permit. We spent about five minutes getting into casting range before I lobbed a crab fly toward their feeding lane along the mangroves. They were gone before the fly hit the water. Fortunately, there were plenty of bones to save the day and, overall, I was thoroughly impressed with the 'park and play' flats John helped me explore. Tomorrow, head held high, I will drive south to Punta Allen in search of snook and baby tarpon. The wind howls on and off like a freight train, reminding me once again on this cold February afternoon who is boss out here on the river. My face is numb and my feet feel like concrete blocks as I stumble along the riverbank. No, this isn't a fool's errand; it's part of the plan. The diligent and faithful few who adhere to the plan are rewarded handsomely. The river is strewn with boulders and ledges. At the bottom, there are hungry beasts. You can't see the beasts, but their lairs are unmistakable. They are dark, foreboding places. I pull a small streamer from my pocket. My clumsy, numb fingers struggle to tie simple knots. I start getting shaky. Not from the cold, mind you; from the anticipation and nervous tension. I know the kind of trout that live here. I know what this place is capable of. The streamer rockets across the river as I throw a large upstream mend. I count the seconds as the fly settles in deep toward the bottom. It's dark down there. The line begins to tighten as the fly swings through the current. Seconds pass. The anticipation is killing me. The resulting jolt is indescribable. The river's tranquility is abruptly interrupted with an act of aggression. My rod doubles under the intense pressure. This is one of those fish. It's a beast. I struggle to get a glimpse of the beast, but can't raise it. My best efforts at turning the fish go unrewarded as it bulldogs its way back into the boulders. My line begins to sing like a banjo string. This is not a good sign. Too much tension on the tippet. Then, as quickly as it began, it is over. The tension is relieved and the line goes slack. The beast and the boulders have won. Some days, the beasts drop their guard and you become a hero. Other days, they put you in your place. I am deeply disappointed. However, the disppointment is buffered by many other good fish that come to hand. 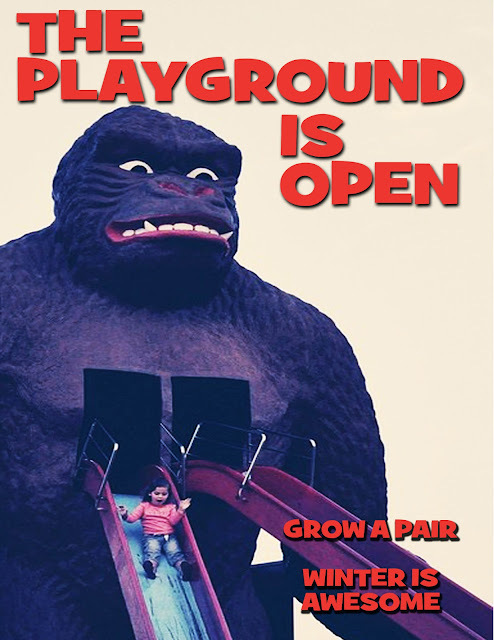 Repeat after me: "The winter playground always rewards the diligent and faithful few who adhere to the plan." Most fly fishermen describe the winter season as a time to "pay your dues" and wait for nature run its course. 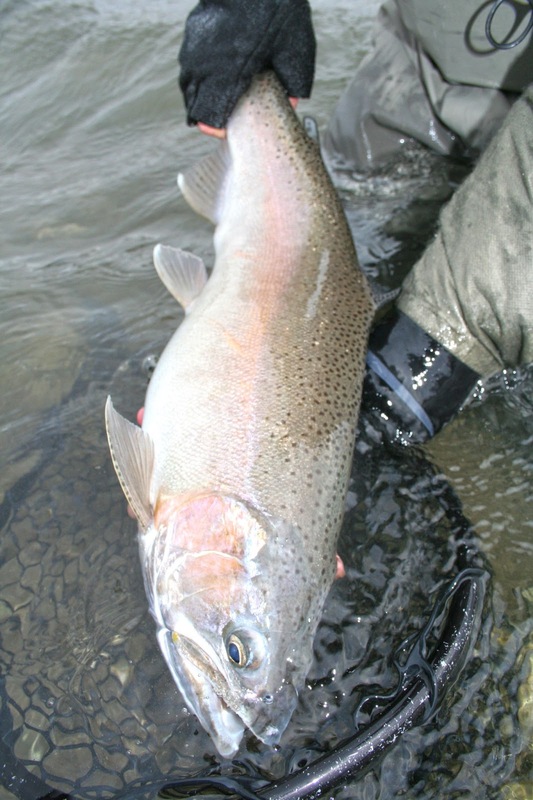 I think of winter as one of the best opportunities of the year to catch a large trout. The water is easy to read and there is significantly less pressure on the river. It's not for everybody, but I find it extremely rewarding. 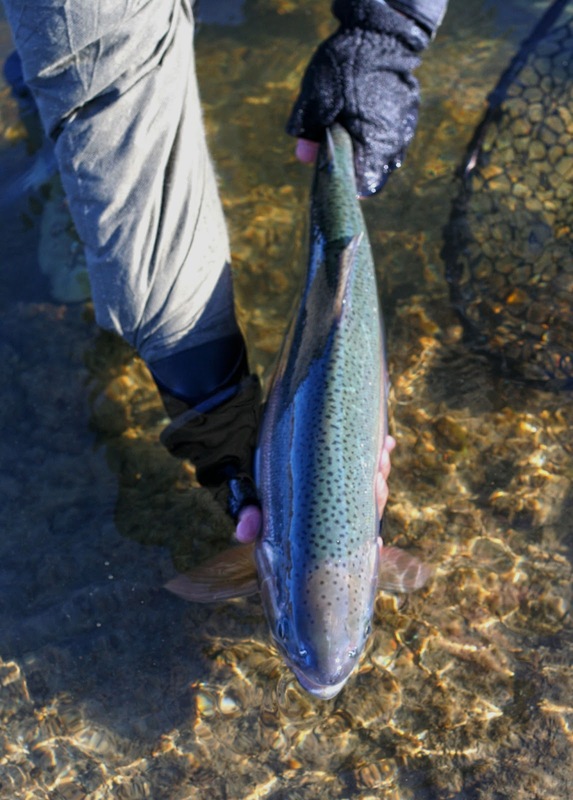 All of the fish in these photos were landed this week in near-freezing temperatures. Many thanks to Chris and Shane for a great time and photos. You've got to love a couple of guys who - after watching you set the hook on a good fish - drop their rods and run over with a net and camera to assist. Much appreciated, gents. Some days, it feels like that tug at the end of the line is an awakening jolt from our primal past. Like an umbilical cord connection to hundreds of millions of years of predator-prey instinct imbedded in our DNA. I really needed to feel that jolt this week; to get back to what's real. This is the only way I know how to clear my head and dispose of society's clutter and manufactured needs. Some people have therapists. I've got the river. Q: What kind of fool gets out on a cold Wednesday evening with sustained 25 m.p.h. 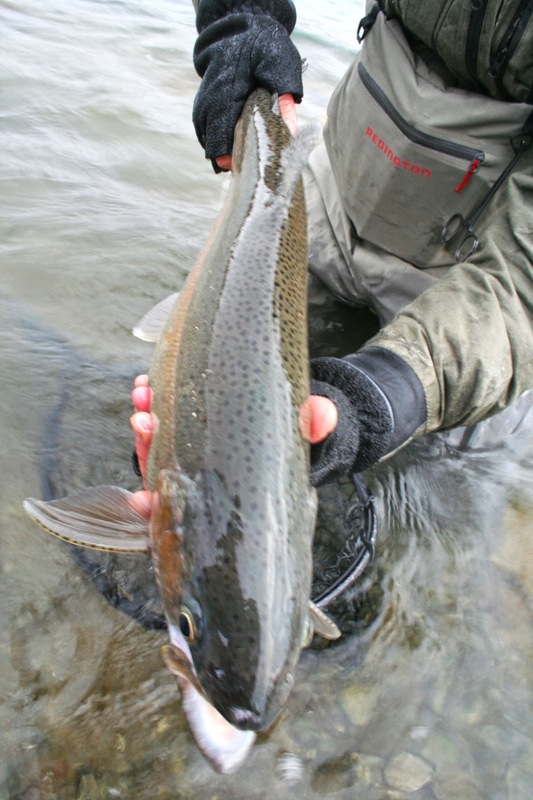 winds to stalk trout? A: This kind of fool. Fortunately, I had the company of two other crazy fools and we had a pretty good outing. Chris and I met up with Jared to target 'bows at dusk and into the night. 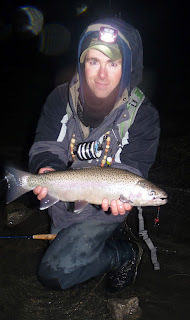 It was the first time I had ever fished for rainbows at night and, interestingly enough, the technique was basically the same as targeting them during the day. 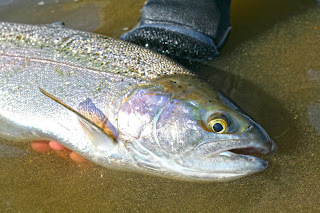 Unlike fishing for browns at night, skating or waking patterns were not necessary. We slow-stripped large-profile dark streamers off the bottom and did quite well, with each of us landing some quality fish. Unfortunately, the wind, cold and moisture made for lousy photo conditions and many of the shots I took were not blogworthy. Getting slapped in the head by your own (barbless) streamer while casting into the wind? Check. Sliding on ice and rocks with numb feet in the dark next to deep ledges? Check. Doing it again next week? Check.